Graff is a senior executive with over 30 years of experience in the energy, chemicals and polymers industries across the Americas, Asia and Europe. He has served as president or CEO of several global chemical and polymer businesses and began his career with Amoco and BP, plc. His experience includes executive leadership roles and expertise in a variety of fields including industrial gases, basic and specialty chemicals, polyolefins, polyesters, the marketing and refining of transportation fuels, lube oils, hydrogen, business development, engineering and construction. Graff currently serves on the board of directors of American Air Liquide Holdings, Inc., as Board chairman and CEO, as well as on the board of Aqualung and Air Liquide Sante Intl. He serves on the board of directors of Westlake Chemical Corporation and is a former director of the Lubrizol Corporation. Graff also serves on a number of industry and civic boards including the American Chemistry Council, the National Association of Manufacturers, the U.S. Chamber of Commerce , as a member of the executive committee and Chairman of the Society for Chemical Industry and is a principal of the American Energy Innovation Council. He serves on the Board of Trustees for the Illinois Institute of Technology and has served on the New Directions Industrial Advisory Board of Purdue University’s department of Chemical Engineering. He has been recognized by Purdue as a recipient of the University’s Outstanding Chemical Engineer and Distinguished Engineering Alumni awards. 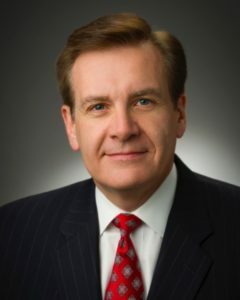 He also serves on the board and executive committee of Children at Risk, and is an active member of The Baker Institute of Rice University and The Greater Houston Partnership. Graff holds a bachelor’s degree in chemical engineering from the Illinois Institute of Technology and a master’s degree in chemical engineering from Purdue University. He studied business at the University of Chicago and completed executive management programs at the Wharton School of the University of Pennsylvania, the University of Cambridge, and the Stanford University Law School. Along with his family, Graff participates in a variety of community service programs and activities. He is a strong advocate for STEM education, literacy and youth athletics.